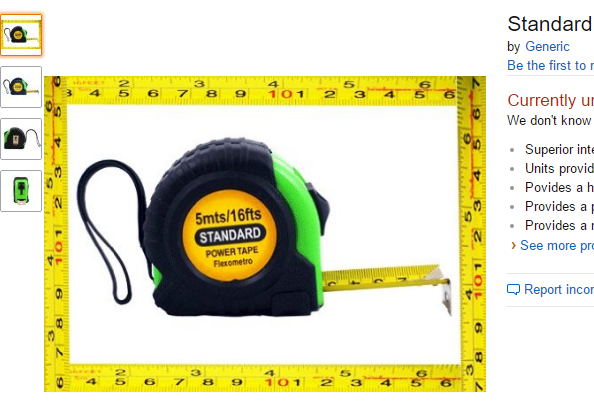 Rosie was asking how long my tape measure was and I told her to look. I thought she was making a grammar mistake. She wasn't. I looked "16fts" up on the Goog and found the exact tape in the 3rd result.